Ive been visiting ibiza for over15 year and have seen the goats a few time when on boat trips, im shocked and sickened by this news , its not as if es vedra was over run by them just a load of board men wanting some entertainment by going out on a hunting trip to kill little animals that wouldent harm anyone this has made me think again where I will go this year on holiday . May the souls of this family rest in peace. A family who were introduced to their home by humans, and have had their lives brutally ended in a genocide killing ordered by the same group of humans… “to recuperate the flora”…. apparently their new priority, in preserving some kind of image of touristic value (and monetary, perhaps, I speculate)…. Imagine, for one moment… If we were to take such an action, to the human beings who live in areas of environmental destruction using the same excuse. Perhaps that is just what this planet needs……. You need much more information. Anyway I think it is stupid to compare anti bull fighting with this dangerous ecological problem. Surely there was a more humane solution than killing them? 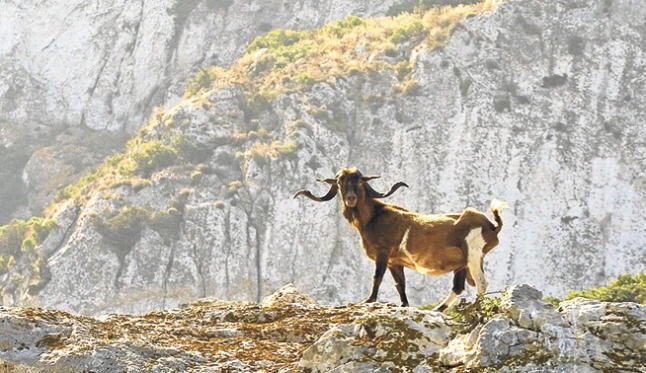 The rational might have some logic if the goats are damaging the environment of Es Vedra, but surely they could have come up with a more humane way to deal with it, typical political response and lack of exploring other solutions. This has upset me soooo much! I can’t believe that humans would do this to such beautiful animals. Disgusting! Ibiza residents are well known for their love of all animals so they are decrying this as double standards.